Speed may have been a contributing factor in the fiery single-car crash in Valencia that claimed the life of actor Paul Walker and a friend, investigators said Sunday. Walker was a passenger in a 2005 Porsche Carrera GT, according to a statement issued by the Los Angeles County Sheriff’s Department. The Los Angeles Daily News identified Walker’s friend as Roger Rodas, 38, a Pirelli race car driver. The actor and Rodas were attending an event for Walker’s charity, Reach Out Worldwide, to aid Filipino victims of Typhoon Haiyan. 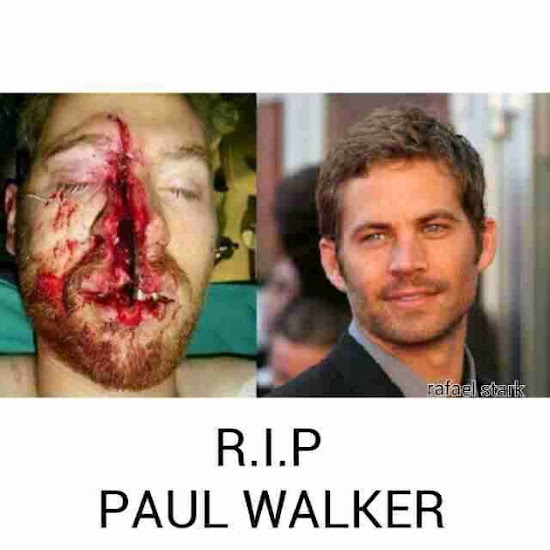 Walker, 40, was best known for his role in the “Fast and the Furious” movie franchise. Paul Walker crash on CCTV: Video of Porsche GT spinning off road emerges as friends claim Fast & Furious star was trying to FIX faulty supercar. 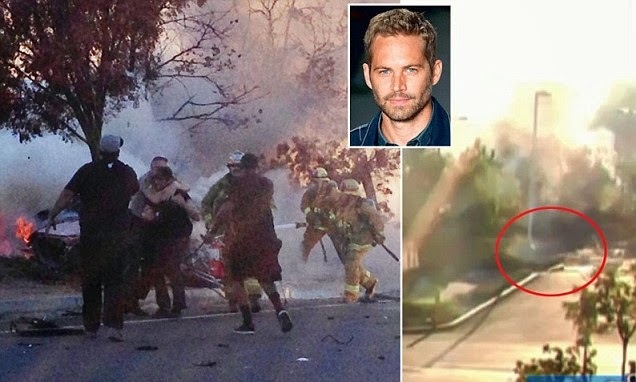 Horrific video which reveals the precise moment that Paul Walker's Porsche Carrera GT careered into a tree and burst into a flames (right) has been released - as one witness claimed that the crash was an accident not a drag race. The footage of the deadly crash which claimed the lives of Walker, 40 and driver, Roger Rodas, 38, was released as images of the dramatic moment cops and emergency workers physically wrestled (left) one of of the Fast & Furious star's friends away from the scene also came to light. F. Valentino Morales, a producer who had been working with Walker on “Fast & Furious 7,” remembered the actor Sunday at a makeshift memorial near the crash site. Tyrese Gibson, who appeared in multiple “Fast and the Furious” movies visits the crash site, Valencia, Dec. 1, 2013. Earlier Sunday, actor Tyrese Gibson, who appeared in multiple “Fast and the Furious” movies, wept as he stood at the crash site. Sheriff’s deputies responded about 3:30 p.m. to the 28300 block of Rye Canyon Loop (map), where they found a vehicle engulfed in flames, the Sheriff’s Department said. The Los Angeles County Fire Department responded to the scene and extinguished the fire, the statement said. Two victims were located inside the vehicle and were pronounced dead at the scene, the Sheriff’s Department said.